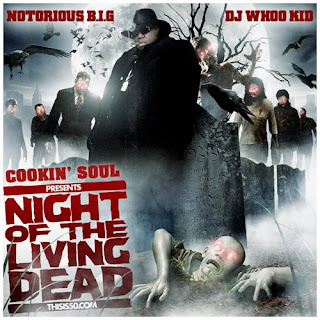 DJ Whoo Kid and production crew Cookin Soul hook up for this Biggie mixtape. All tracks are produced by Cookin Soul and features Notorious B.I.G., Jay-Z, Lil Wayne, 50 Cent, Nas, Michael Jackson, Eminem & more. It's definetly a mixtape worth checkin out. Related Posts : Mixtape , Notorious B.I.G.